Komatsu, which offers a complete line of mechanical stamping presses—mechanical and servo-drive—will exhibit two- and single-point servo presses and coil lines producing parts. Press capacity ranges from 35 to 4800 tons, in gap and straightside designs. 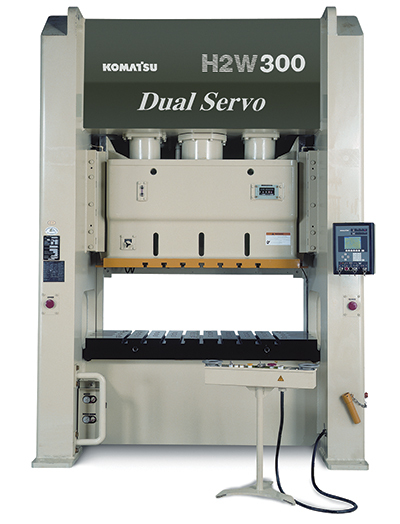 Servo presses feature automatic slide-position and die-height repeatability, with accuracy in microns; fully programmable slide velocity in any direction; and they consume 30 percent less electrical power than conventional mechanical presses.